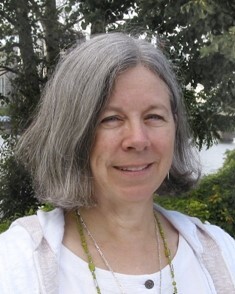 Dr. Marilyn Johnson is Science Director at the Oregon Museum of Science and Industry (OMSI) where she led teacher professional development, educational technology, and museum education for ten years. Since 2006, Dr. Johnson has directed OMSI research and development teams. Prior experience includes faculty at Goshen and Lewis and Clark Colleges, founding a public math/science/technology K-8 school, and international development. Key federal projects for which Dr. Johnson has served as Principal or Co-Principal Investigator include: Earth From Space (NASA) (converting data to demonstrations to accompany spherical display systems); STARS (Science Technology and Rural Students) (NASA) (collaboration with rural libraries and communities, winner of the Roy Schafer Leading Edge Award), Earth Labs (IMLS) (bilingual exhibits and programs for museum labs), Sustainability (NSF) (bilingual exhibit, cell phone campaign, and professional development for designing green exhibits); Access Algebra (NSF) (traveling exhibit with accompanying professional development), Beyond Fact: Making Science Accessible Through Dialogue and Deliberation (IMLS) (partnership with libraries for adult science literacy), Small Museum Research Collaborative (NIH) (bilingual traveling exhibits and programs), Nutrition Worlds (NIH) (university partnership to bring exhibits and programming to communities), Dangerous Decibels (NIH) (exhibit, outreach, and teacher training), Nanoscale Informal Science Education Network (NSF) (Content Steering Committee; Diversity, Equity, and Access Committee; Program/Exhibits/ Community teams for nationwide ISE network), Latinas en Ciencia (NSF) (gender equity project), Science on the Move (NSF) (adult literacy through transit shelter exhibits). Dr. Johnson holds a Ph.D. from the University of Massachusetts, Amherst, and an M.S. and BS from the University of Washington, Seattle.